New classes begin every week of the year at one of our four convenient Washington state locations. We also offer day (6am-2:30pm) and evening (3:30pm – midnight) classes Monday-Friday. Our instructors – all experienced commercial drivers – will provide you with exceptional and easy-to-understand classroom and on the road Class A, B and/or C CDL training. Immediately after graduation and throughout your career, we’ll provide you with up-to-the-minute information about local job openings that fit your training and preferences. Yes! We do accept GI-Bill® payments and other forms of funding. 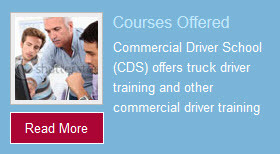 So feel free to enroll in one, two or more CDL classes! Lakewood Campus graduate "Id you're looking for the best commercial driving school then look no further! Every single staff member is professional, very polite, patient, and super helpful. It's clear that their number one goal is to help you succeed to the best of their abilities. Whether you're completely new or just need a refresher they will walk you through every step of the way." Port Orchard Campus graduate "Excellent place to learn how to drive trucks. Every teacher cares about you and wants you to come away with a license and a job! They hosted a job fair and I was able to see all the local companies that were interested in finding drivers. It was more than I expected! Highly recommend!" Port Orchard graduate "I recommend CDS for anyone who is interested in pursuing a CDL. The instructors are a great group of guys and truly care about their trainees. You will get top notch training in just 4 weeks! Great work CDS!" 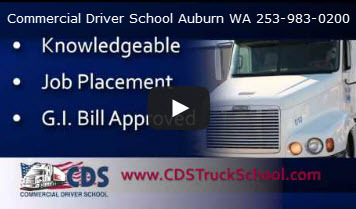 Auburn Campus Graduate "CDS is a great school to learn hoe to drive a commercial vehicle. I had never driven a standard transmission or backed a trailer of any kind. In a quick 4 weeks I was able to drive a manual Semi Tractor/Trailer combination and back it! CDS was completely worth it and really got me prepared to go into the work force! I was at the Auburn campus and the office personnel and instructors couldn't have been more helpful and fun to be around. Highly recommend this school!" Auburn Campus graduate "Was an awesome experience. From the first week of class to the last week. The teachers spend time with you and make sure you are ready come testing time. And the pre trip instructor is awesome at preparing you for your test. Thanks CDS"
Port Orchard Campus graduate "Great place to learn! Thank you for a life changing opportunity!" Lakewood Campus graduate "My 1st couple of days driving I as really concerned about my career choice, but the instructors did an excellent job of patiently teaching me. I am completely satisfied with CDS, best career decision of my life!" Auburn Campus graduate "From start to finish, I had a great time and learned a lot from CDS. All of the instructors are amazing and take the time to make sure you knoe everything you need to know to start working the moment you graduate. They also do an amazing job of helping students find employment in the industry." Port Orchard Campus graduate "Thank you to all the staff of Commercial Driver School in Port Orchard for a truly fantastic experience learning how to drive a giant truck! I am grateful to have my new job as a propane delivery driver and am having the time of my life!" Was a great place to learn and helpful staff for all your needs. This is a fantastic school! The staff is awesome! Always willing to help you succeed! Worth every penny! Highly recommended! Our outstanding instructors – all experienced commercial truck drivers – have provided our students with exceptional CDL training and guidance, so they’re ready to “take to the road” right after graduation. 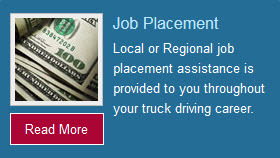 Because of our partnerships with many respected local and regional companies, you’ll receive up-to-the minute information about job openings that fit your CDL type, skills, and preferences right after you graduate and throughout your entire career. In fact, we’ve helped nearly half of our graduates find jobs right in their local areas, so their career and lifestyle goals are no longer at odds. We recognize that heading down a new career path is a big decision and you may still be wondering if CDL training is right for you. If this is your situation, one of our competent and caring instructors will listen to your concerns, answer your questions, and offer you his or her candid advice. New classes start nearly every week of the year (See our 2018 Class Schedule for detailed information) at one of our convenient Washington-state locations, and we offer day (6am-2:30 pm) and evening (3:30pm-midnight) classes Monday-Friday. We’re pleased that we can offer world-class CDL training classes and still maintain our competitive fees. What’s more, we accept many types of funding options and veterans can take full advantage of one, two, or all of our CDL training programs because we accept the Post 9/11 GI Bill.